If you’re looking for a new picnic spot or some solitude in the sun, Hobbs, NM features many great parks to give your family a chance for a day outside of Lubbock. These are our favorite picks around town, but there’s more to explore, too! McAdams Park: A perfect place for a date, this park is complete with a weeping willow accented lake and picaresque bridge where you may spot a family of ducks. Washington Heights Park: Home to a water park and playground equipment, this is an ideal place to bring the kids and throw a ball, as well as lunch at the pavilions. Humble Park: Bring the volleyball and spike one here with friends. BBQs are available for everyone to use and there’s a playground for the little ones. Green Meadow Park: Bring the burgers and have a picnic by the water at this local park that has public restrooms and BBQ grills for a complete day outside. Del Norte Performance Area: Even when there’s not a big event going on, this wide open space is a great place to play catch or sprawl out on a blanket. 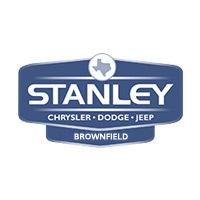 There are any number of ways to get to these relaxing locations, but if you need a ride, Stanley CDJR has you covered with a wide inventory of new vehicles! We’re also happy to help you find fun nearby destinations in the music loving city of Lubbock, activities in Seminole, or Christmastime celebrations around Brownfield. Contact us today to make an appointment for a test drive or to service your current vehicle!